Winter is an interesting season. Some seem to love it, while some not so much. According to news.gallup.com only 11 percent of people reported their favorite season being winter in a poll hosted by Gallup News. With the school district having a few snow days along with two hour delays, many students have preferred to stay inside the majority of their time. Being inside for the majority of the day can be boring but many students argue that it’s much better than being out in the blistering cold weather. The “insiders” play video games, watch movies, read books, or watch their favorite TV shows. 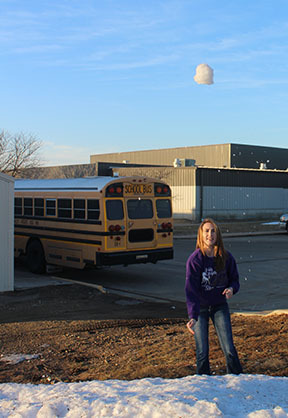 Valley Heights students who don’t mind the cold weather tend to hunt, go sledding, shovel snow for money, have snowball fights, or even build snowmen. Many of the boys who preferred staying inside said that they put many hours into video games because many new games typically release in November giving kids something to do when the cold weather season approaches. “Video games are definitely my number one thing to do to pass time during the winter.” Said sophomore, Cole Coggins. 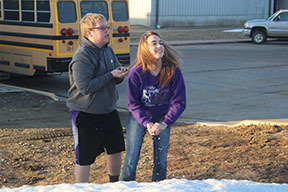 Many students said that they’ve had issues making money during winter, resulting in multiple kids even shoveling snow to make a few extra bucks. Winter is a time for students to make some extra money, play in the snow, or even level up on the latest video game. From having blizzardy weather one day, to 50 degree weather the next. We can all agree winter’s a very interesting season. As winter goes along, the “insiders” will continue to play their video games, read, or watch movies. While the “outsiders” will continue shoveling snow, hunting, or making snowmen and having snowball fights.